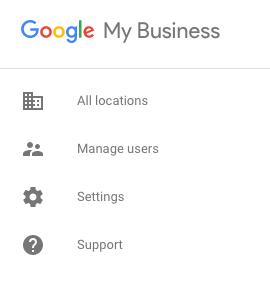 Google quietly added the ability to add multiple owners to individual locations or business accounts in Google My Business. The new help article explains how to do it via desktop or mobile devices. "Owners of listings can invite additional users to own or manage a listing," Google wrote. Adding owners and managers lets users share management of a listing without having to share personal account information. Owners, managers, and communications managers all have different levels of access to the listing. Only an owner can add or remove users. However, a manager may remove himself or herself from a listing. Google Groups can't be added as managers or owners of listings. You can access this by going to manage the location in Google My Business, click on the left hand side menu and then select manage users. This was posted as a new feature in the Google My Business what's new page. I believe you were able to add/manage owners/managers via Google+ in the past. Again, more details and instructions on how to use this over here.